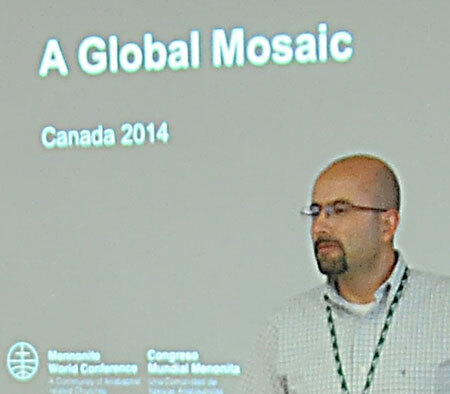 With the future of the church and issues of sexuality being prominent issues up for discussion at Assembly 2014, Karl Koop, a Canadian Mennonite University professor, asked César García, Mennonite World Conference’s general secretary who spoke about the global Anabaptist mosaic, how these topics could affect the global church. While García said he recognizes that theological interpretations of sexuality are contentious subjects in many countries, “we want to open spaces in MWC to speak about [these issues] without going into fragmentation. Any kind of decision is going to affect the global church. About this specific topic, we know it has the potential of taking us into fragmentation. 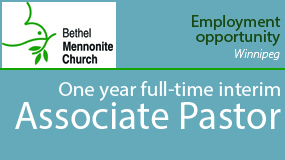 The challenge is how to keep our communion in spite of differences.” Globally, there are 1.7 million baptized Anabaptist Christians from 103 Mennonite and Brethren in Christ churches from 56 countries on six continents, he explained. Sixty-five percent of these are African, Asian and Latin American, where conservative sexual ethics still predominate in many regions. Sexuality isn’t the only contentious issue facing MWC-member churches, he said, noting that in some places churches are grappling with women who want to be pastors or are trying to discern whether or not they will allow remarried pastors to speak.